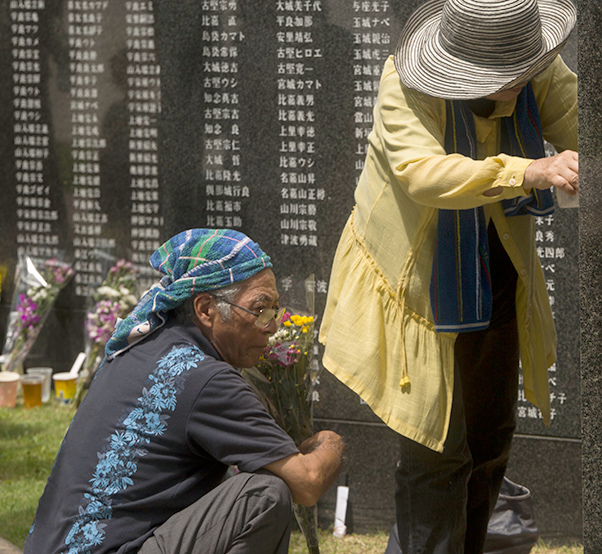 Okinawa residents pay their respects at the Cornerstone of Peace memorial wall during the Okinawa Memorial Day service at Peace Memorial Park, Itoman, Japan, June 23, 2017. The memorial walls are inscribed with more than 240,000 names of people who died in the Battle of Okinawa, regardless of nationality, civilian or military status in the battle. During World War II, Japan’s Ryukyu Islands were the front line for a series of battles which culminated in the largest amphibious assault in the Pacific theater. The Battle of Okinawa lasted 82 days, from April 1 to June 22, 1945. 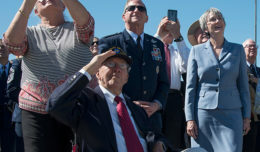 Seventy-two years later, service members, veterans and government officials from Okinawa, mainland Japan and the United States gathered today at Okinawa Peace Memorial Park in Itoman, Okinawa, Japan for the 2017 Okinawa Memorial Day service. The Battle of Okinawa, also known as Operation Iceberg, was the last major battle of World War II. The fight resulted in more than 240,000 deaths of Japanese and U.S. service members, as well as Okinawan civilians. Attendees at the service joined together around the Cornerstone of Peace and placed wreaths against the walls in remembrance of those who gave their lives to serve their country. In September 1945 a formal document was signed signifying the ending of the battle. 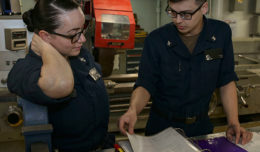 Since then, the U.S. and Japanese forces allied together forging a diplomatic relationship that remains a cornerstone of security in the Indo-Asia-Pacific region.